!! Happy Spring Equinox !! So many exciting things happening and to come! 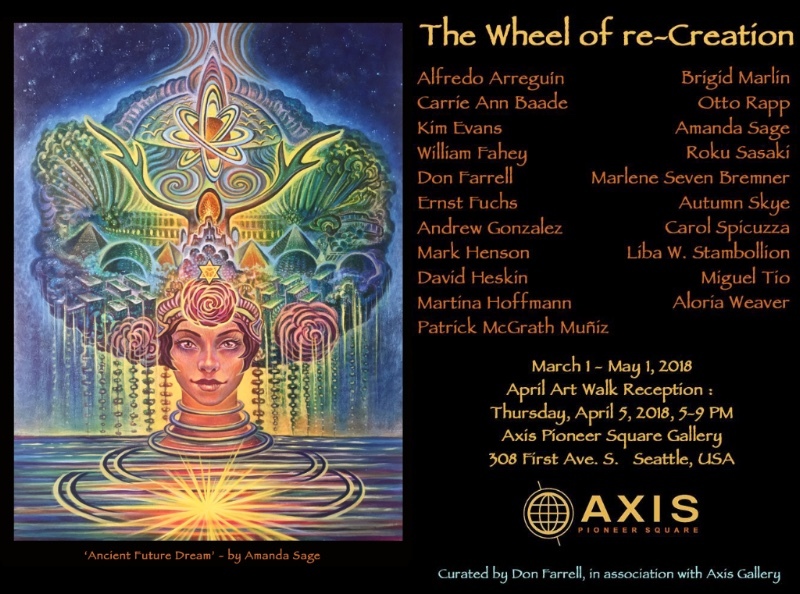 'Ancient Future Dream', and a life size print of 'Holy Matter' are currently on view in Seattle as a part of this beautiful show 'The Wheel of re-Creation' curated by Don Farrell at the Axis Gallery. 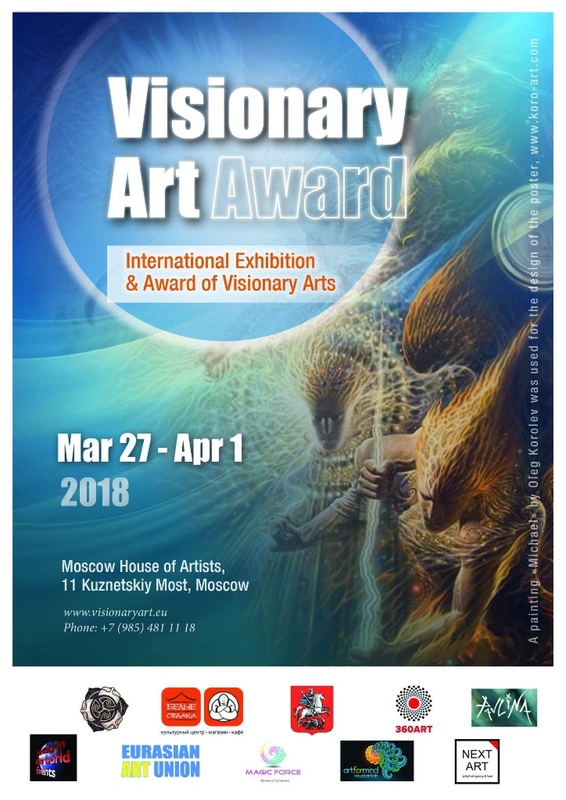 An exciting exhibition and conference is about to open in Moscow Russia, curated by Oleg Korolev with the support of the Eurasian Art Union at the prestigious Moscow House of Artists! I am apart of the Jury and some of my work will be on exhibit there. I hope to join in the next edition. I'm excited to have my original painting of 'Ana Suromai' and some other originals and prints apart of this incredible show at the REN Gallery in downtown Los Angeles. I will be present for the panel discussion on March 31st. 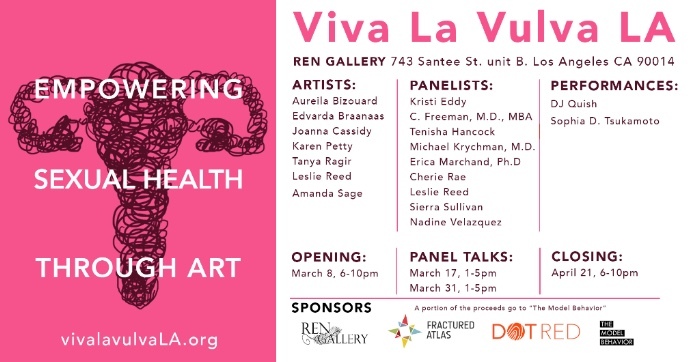 "We are deeply rooted in the language of art as a means of healing. We use art as a skill and mode of communication to enlighten people through visual display. We use a variety of artistic forms to educate and empower women especially those that lack an understanding of their sexuality which is fundamental to women empowerment." A 7 Day Workshop devoted to the study of Self in Form and The Nature of Art. Mixtek & Mystics is going to push the frontier even further as Joe Bob weaves threads of deep insight through various practices of observation. 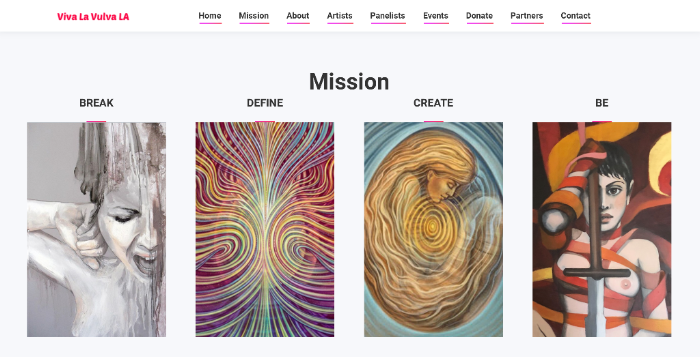 This workshop celebrates a new wave of activation within their facilities of South Main Gunnison, a station on the Peace Train. One Way is: No One Way to Know One’s Way. Another Way is: Know One Way to Know One’s Way. As the first full weeklong workshop in the Blue Thunder Artifactory, at South Main Gunnison, we will paint till we drop. We will also spend time in guided mediations and movement practice in the Sanctuary Somatics studio, which is also a part of South Main Gunnison. We are making room for new expressions! Up to 70% off on some items... No Discount code needed. 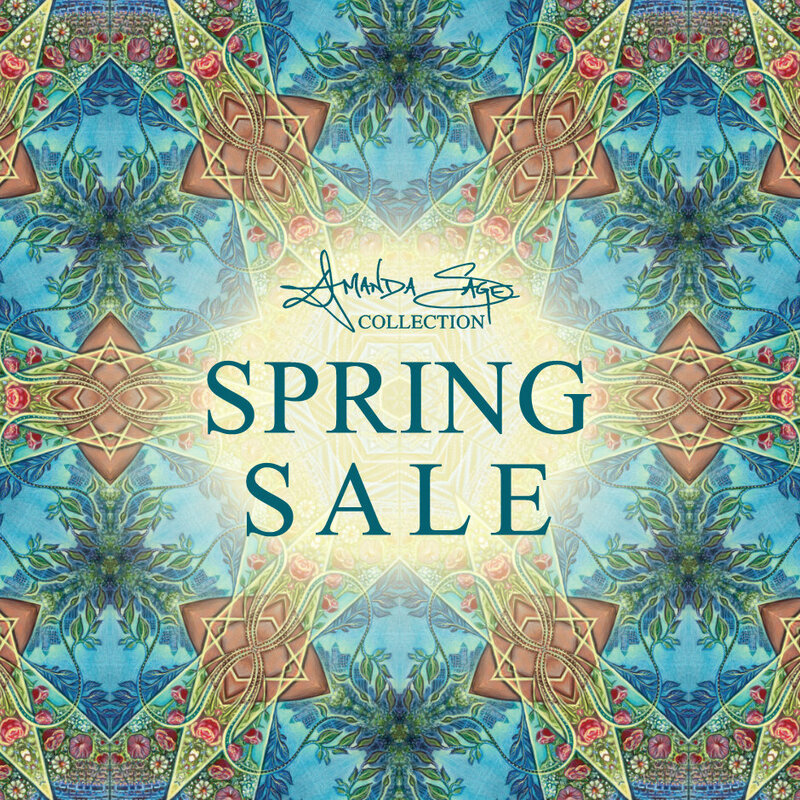 Sale ends Friday March 23rd. we had a blast sharing our creations and meeting new and old friends. One of the highlights for me was meeting Winona LaDuke and listening to her talk about the economy of the 8th Fire. Our incredible ASC team of Shabnam Q, Gloria Valdez, Katie Rose Rainbowmaker and Bradey made it all just so much more amazing. 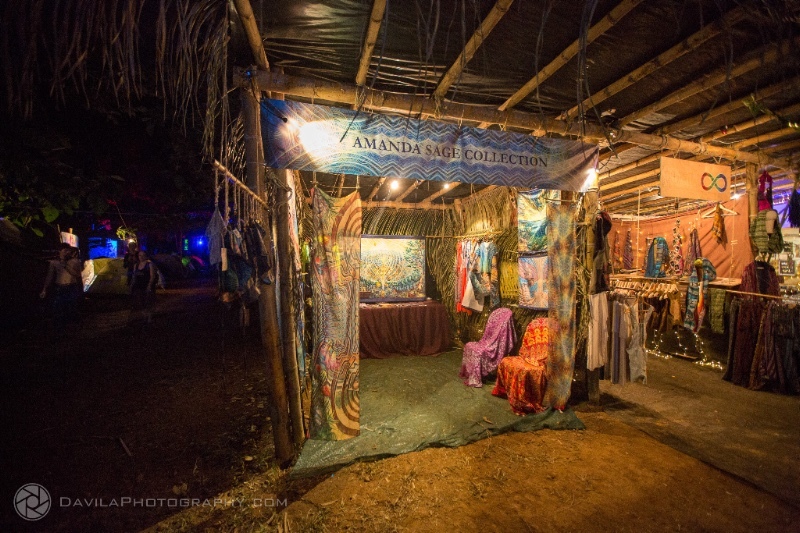 Not to mention EVERYONE else that worked so hard to create this magical experience in the jungle! 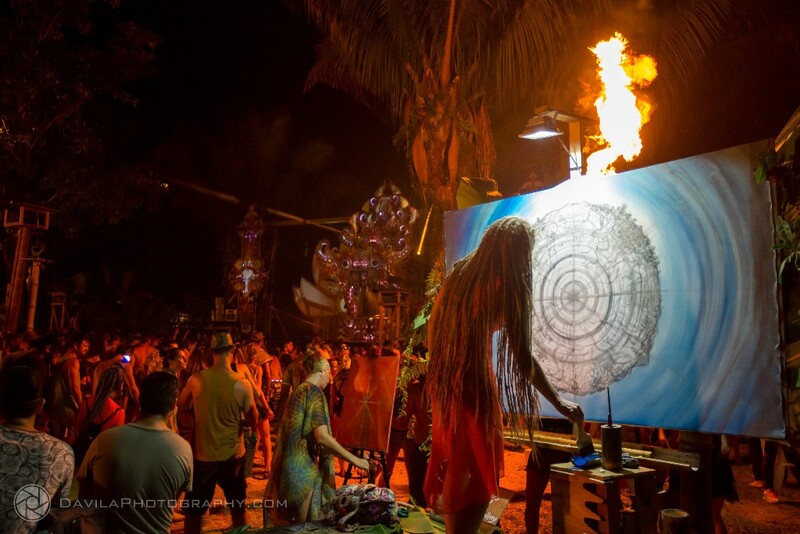 I had one of the best LIVE Painting experience ever at Envision this year! This one is a prayer for the 8th Fire and the ignition of awakening happening all over the planet. Think about it, talk about it, write about it, paint about it and activate that prayer! 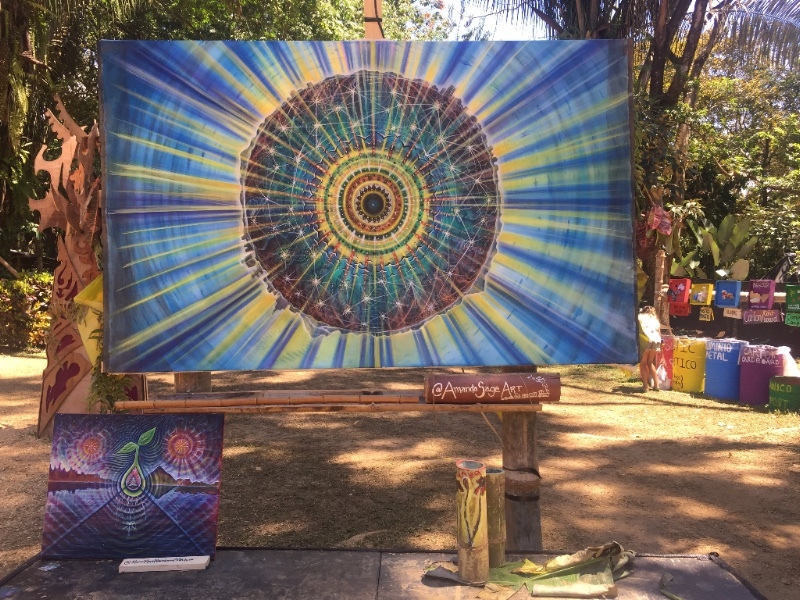 The first painting workshop at Puntamona was incredible... it's hard to find words... the warm waters of the caribbean, the colors, the amazing new friends that came from all over the world! 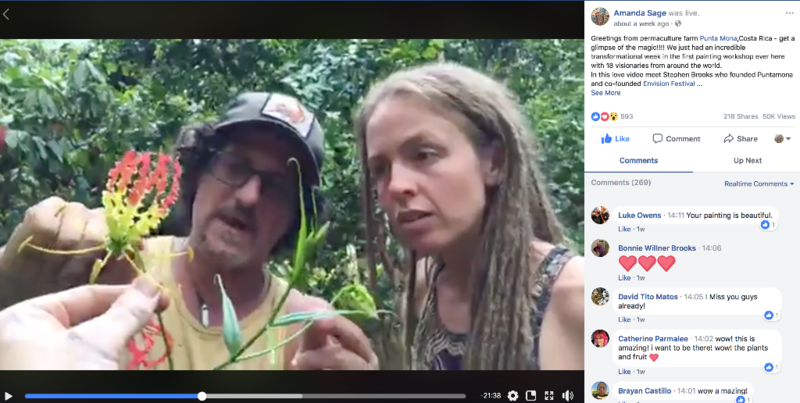 New Earth Permaculture training... Master Hearts... phosphorescent roots... miracle fruit... it all happened... or was it just a dream? 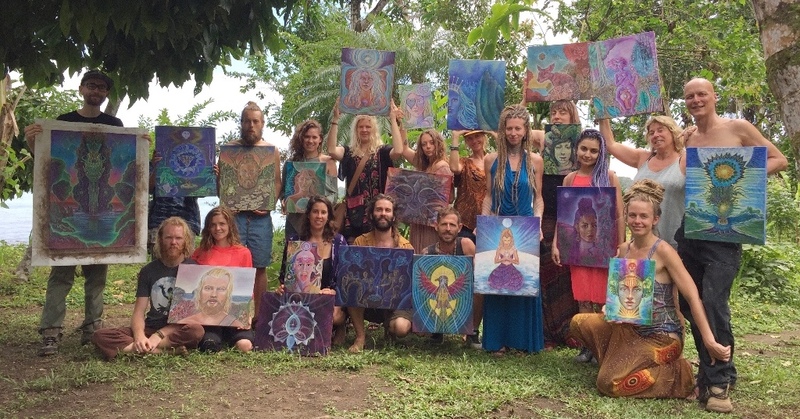 We're dreaming up Visionary Art Camp at Puntamona for the next round - stay tuned! 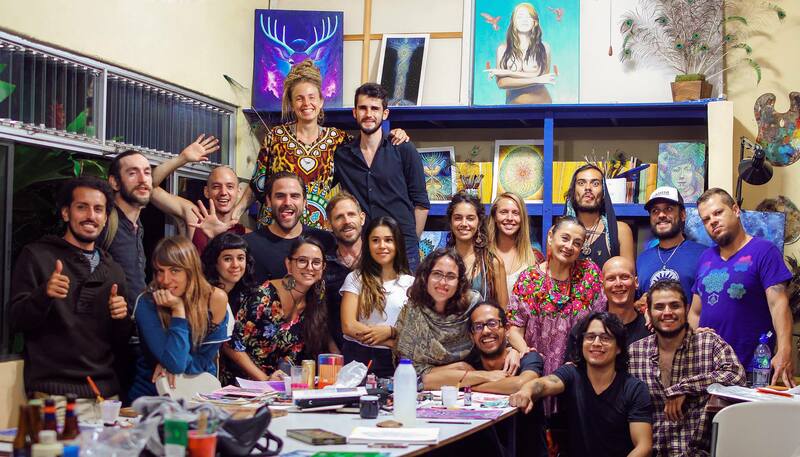 The night before we headed back to the US, Roberto Carrillo organized an Art Jam at his aunt Millagro Carrillo's studio. 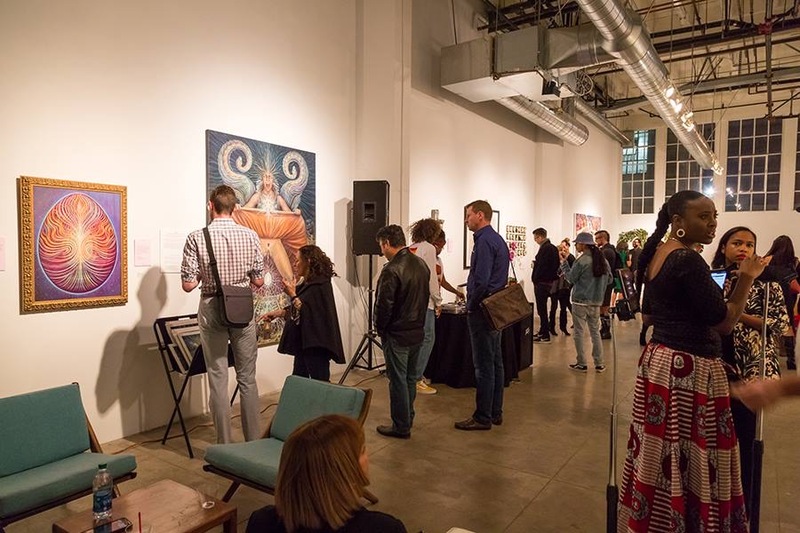 20 artists from around Costa Rica showed up for the evening of arting. 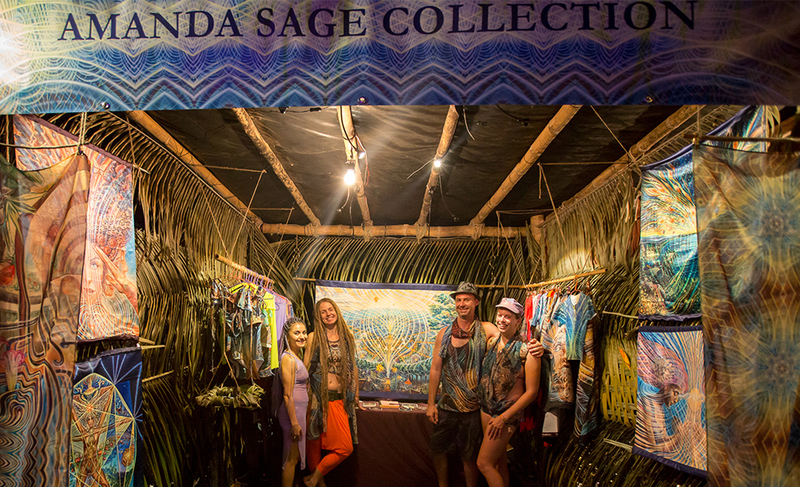 It was super special and filled with high vibrations! Looking forward to more Art Jam's, Workshops, Painting and continuing to build the tracks for the Train with you all! Copyright © 2018 Amanda Sage Art, All rights reserved.